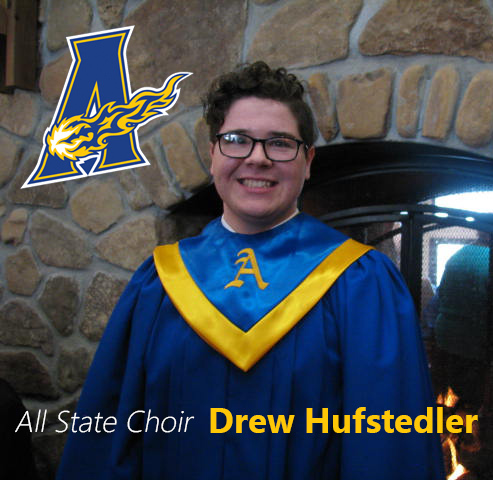 Congratulations, Drew Hufstedler! Drew made the Missouri All-State Choir during an audition process on Saturday. He is one of six tenors from the South Central Missouri District who will join students from across Missouri at the state convention of the Missouri Music Educators in January. Students will work with a well-known choral conductor during the week and will perform on Saturday. Drew is the first student from our school who has accomplished this level of performance in many years. Again, Congratulations, Drew!